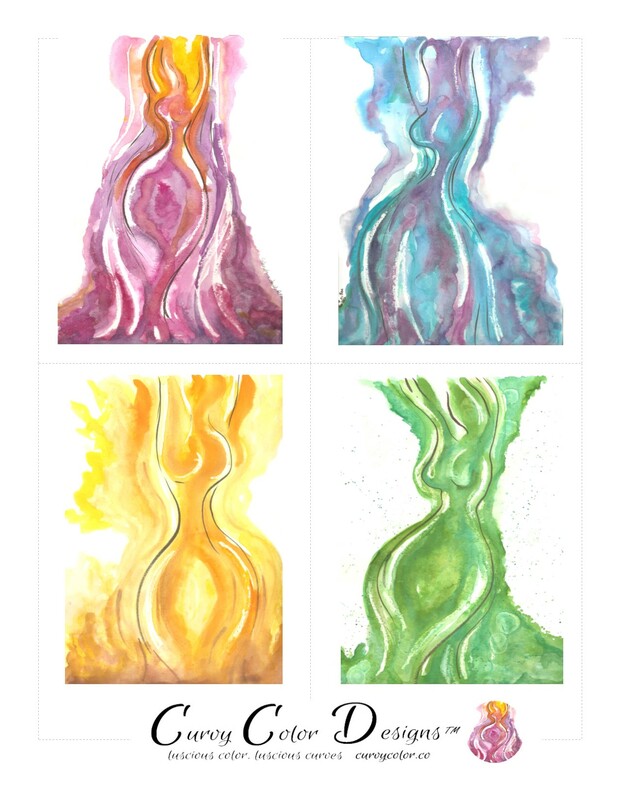 Welcome to Curvy Color Art and Designs™, body positive art, stationary, and apparel focused on celebrating luscious color and luscious curves! 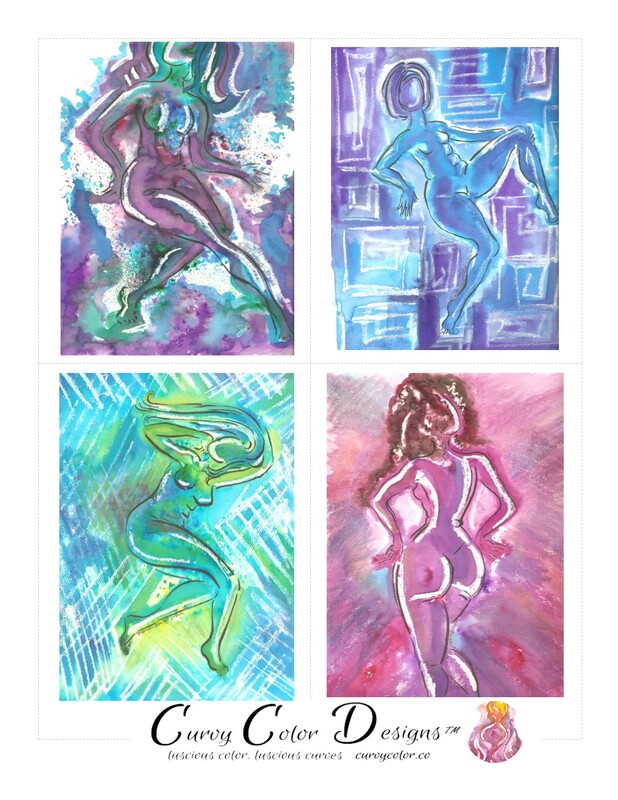 My designs, paintings, and Curvy Color Tees highlight those lush shapes and curves using color and line. 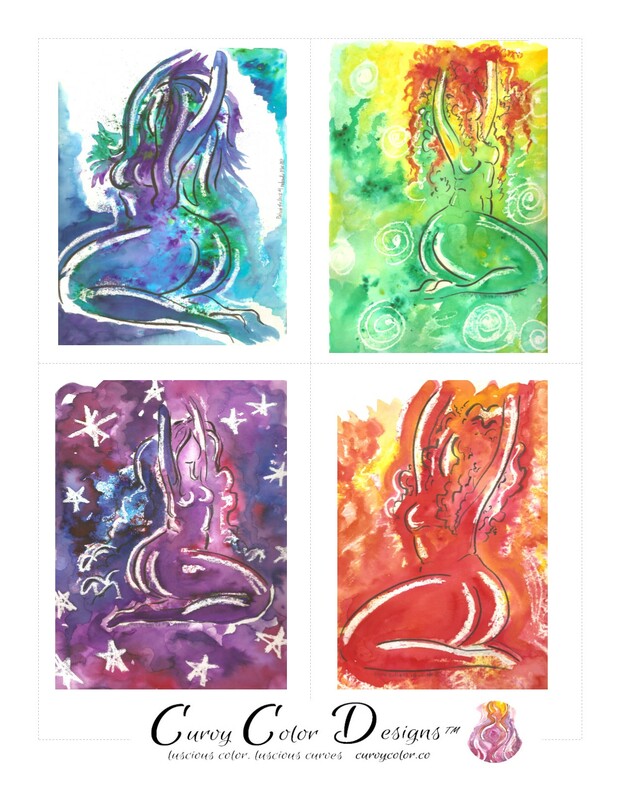 Currently, I’m offering several sets of note cards, a line of coloring cards, painted and custom tee shirt designs. You can find me on Facebook and Instagram.